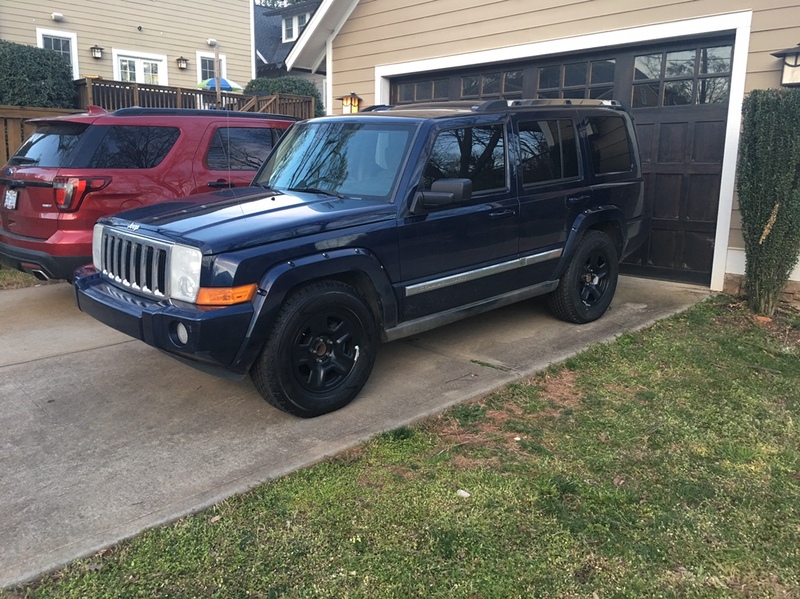 Jeep Commander Forums: Jeep Commander Forum > Jeep Commander Discussion > New Member Section > 2019 Jeep Wrangler unlimited sport 17 inch black wheels 245/75/17 tires. 2019 Jeep Wrangler unlimited sport 17 inch black wheels 245/75/17 tires. Picked up a set of five 2019 Jeep Wrangler unlimited sport 17 inch black wheels with five new Goodyear Wrangler all terrain adventure Kevlar 245/75/17 tires. These are new oem Jeep take offs. Wheels fit with absolutely no rubbing, no spacers were necessary! It’s a 2WD 2006 HEMI 5.7 Limited. Completely stock height. In anticipation for possible rubbing, I ordered some 1/4” spacers to clear calipers and some ET Lug nuts for full thread engagement with the spacers. 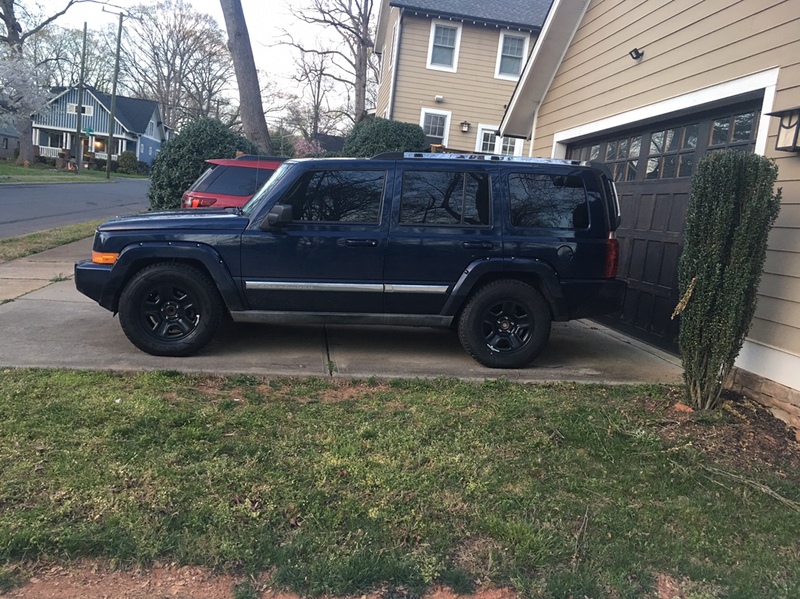 I have a set of 1/4” JBA front leveling spacers I will be adding to raise the front a bit. I will also order some Bilsteins all the way around as budget permits. AppCar software is also on the list to get rid of TPMS warning...(any idea if this will work with Flashpaq F5 97 octane tune?? Last edited by Big Blue; 03-29-2019 at 11:47 AM. Happy to help and again, welcome aboard.